Sound Food and Drink is bringing a feast for the senses to Liverpool, Getintothis uncovers the aural treats on offer down Duke Street. It was just on Saturday during FestEVOL we were talking to numerous Liverpool musos reflecting on the state of Liverpool’s bar scene. It was unanimous that the city is in need of an injection of fresh blood; not since the much-missed Korova, has Liverpool found a hangout that ticks all the right boxes, all of the time. 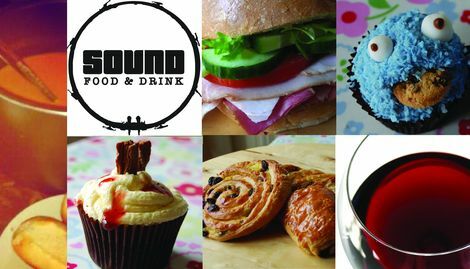 Enter Duke Street’s Sound Food and Drink. 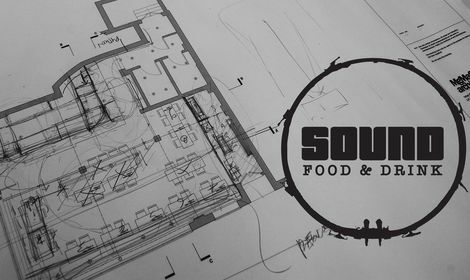 Set in the heart of Ropewalks, Sound is set to offer a plethora of daytime light bites set to a delectable soundtrack before transforming into a rock and roll hangout in the evening showcasing a range of upcoming music talent with a daily roster of the city’s finest DJs. Opening on Friday August 24, the two-week launch program will see some of the city’s favourite bands and promoters from Liverpool’s current music scene provide DJ sets and live performances, as well as introducing regular weekly events. Confirmed for the opening programme are an opening live set by The Loose Moose String Band followed by Silent Sleep, Ivy and The Chance and The Hey Pedros. Mother Earth will perform at the first live Gold Soundz event on Thursday August 30. While on the DJ front Andrew Ellis (Gold Soundz/Samizdat), Revo (EVOL), Joe McKechnie, Bido Lito‘s Pink and Rare Sunday Roast, Uptight, Double Denim, Jimmy El Toro, and Bernie Connor‘s Sound of Music. From September 10, Sound will roll out a weekly schedule with Monday signalling the 50s’ finest back catalogues with Hail Hail Rock’n’Roll while Thursdays sees Gold Soundz present a dose of alternative 80s and 90s. 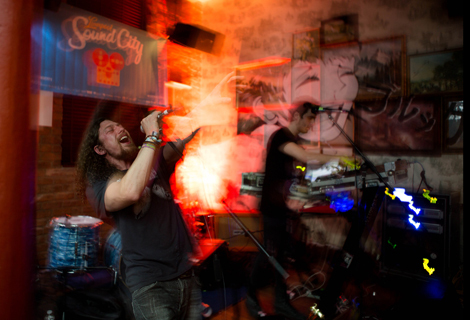 Weekends include guest DJs on Friday and Saturday nights with The Sunday Social soothing heads. If that’s not enough to whet your appetite, maybe their menu will, with Sound offering homemade soups, artisan breads, deli meats, salads, sandwiches, cakes, pastries, tea and coffee in the daytime combined with world beers, great wines and cocktails, plus cheeseboards and sharing platters for the early evening crowd. Open from 8am til midnight, 7 days a week, this new venture is pretty much sound by us.